Life is Strange 2, the video game, is due out late September. It’s good for a host of platforms; Xbox One, PlayStation 4 and Windows/Steam too. 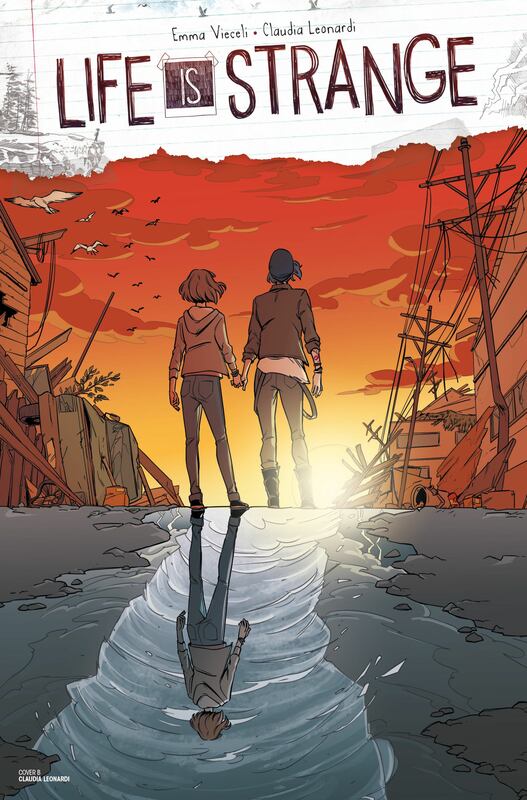 The new miniseries from writer Emma Vieceli and artist Claudia Leonardi is set in the world of Life is Strange and takes readers back to Arcadia Bay. The comic books follow fan-favourites Max Caulfield and Chloe Price and chart a possible future after one of the two endings in the game. In Life is Strange Max Caulfield is a photography major who discovers she can rewind time. The pair then investigates the disappearance of fellow student Rachel Amber and discover the dark side to life. Fans of Life is Strange have it good right now as there’s a 100% free supporting game called Adventures of Captain Spirit available on Xbox One, PlayStation 4 and Windows alrady.